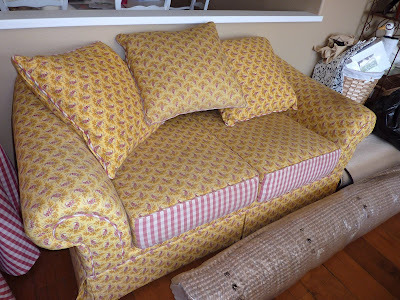 I've been working for a while with Melissa, sewing slipcovers and pillows for almost every room of her house. 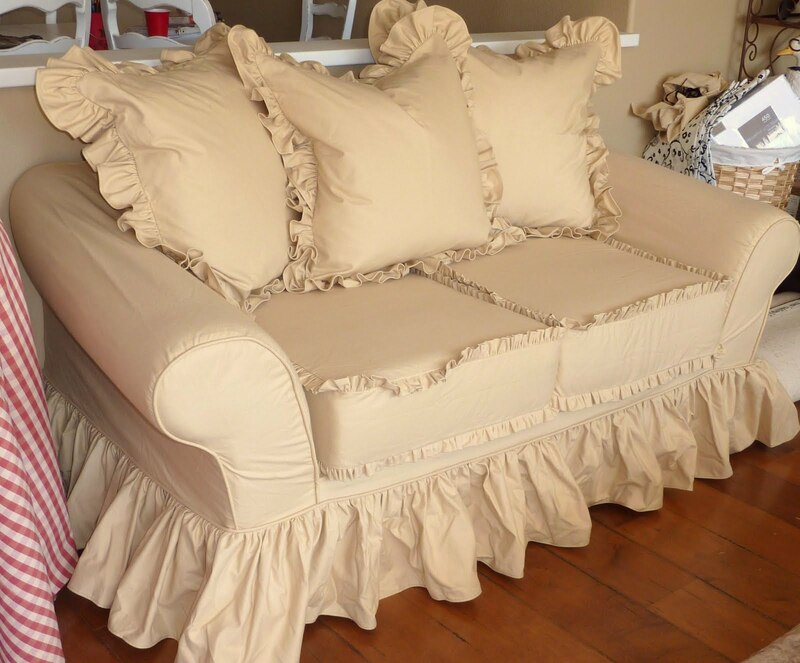 This last assignment was to slipcover her sofa and loveseat. The original fabric had seen better days and she was wanting to change the style to something softer in color, a solid, but with lots of detail brought in with layers of ruffles. 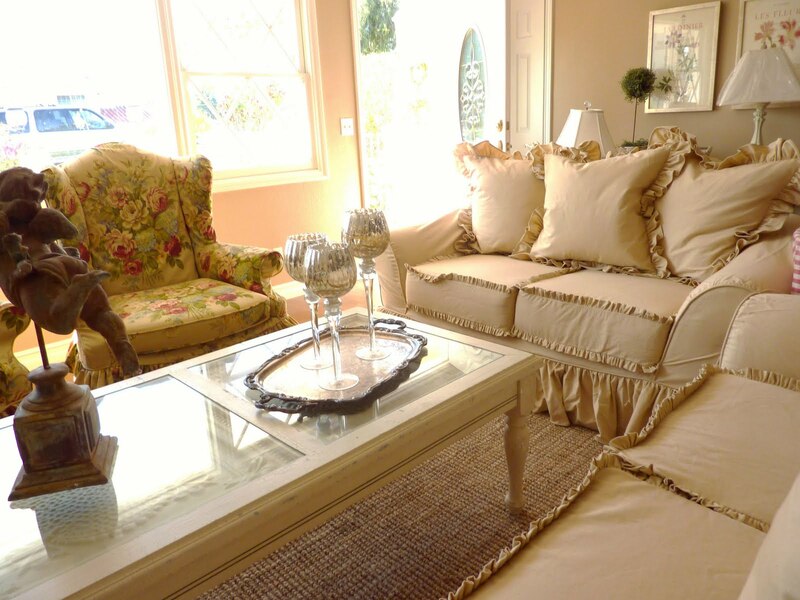 We chose a solid cotton canvas in a perfect shade to compliment her freshly painted walls. What a great day...I love what I do. And Melissa couldn't be happier!